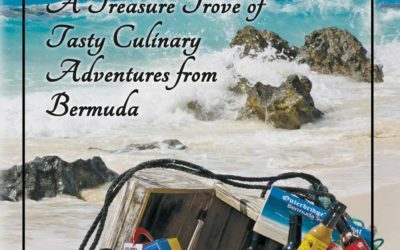 A collection of favorite family recipes and Bermudian cuisine with the Flavour and the Fire of Outerbridge’s Original. Aperitif to Soufflé, Sunday brunch to Saturday night munch, New Year’s Day Pea Soup to Christmas Day delights, there is something for everyone. Asian-Island fusion… this delightful sauce is the perfect augment for any dish where conventional soy sauce is used. 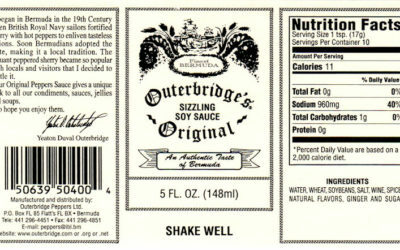 Try Outerbridge’s Sizzling Soy Sauce with fried rice or to spice-up sushi. Add a few shakes to intensify a marinade and make kebabs distinctive. YDO says “This is what steak has been waiting for” and customers agree! 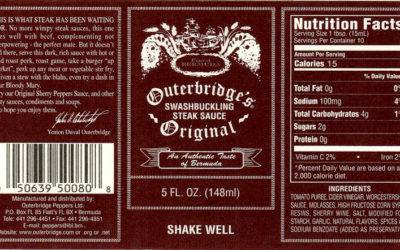 But this superlative sauce also enhances burgers, pork, wild game and especially roasted duck. Also, try our Barbecue Sauces, available Mild and Devilishly Hot. A Chefs in America Awards Foundation Gold Medal winner, this is our flagship product and the cornerstone of all our sauces; gives them what we call, “The Flavour and the Fire”! 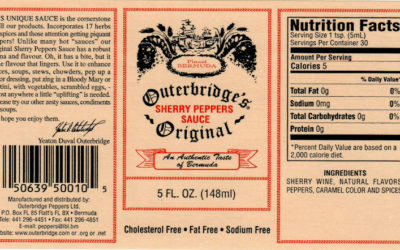 Customarily used to enhance Bermuda Fish Chowder, it is sensational in any soup or stew, marvelous for marinades and superb when sprinkled over pan-fried fish or scrambled eggs.